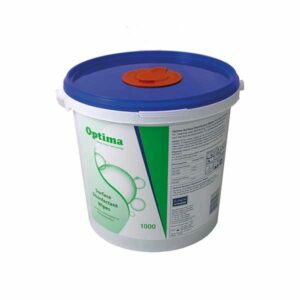 Ramon’s Optima branded wipes are designed for cleaning and disinfecting within food manufacturing and food service environments. 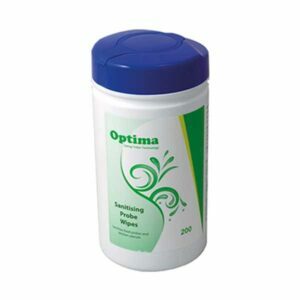 The wipes are effective at killing food borne micro organisms making surfaces of food machinery, food processing and food preparation areas safe in 60 seconds. Designed to clean and sanitise both food probes and kitchen utensils prior to contact with food stuffs, in particular meats. Ideal for kitchens, carverys, delicatessens, mobile kitchens etc. Alcohol, Quat & PHMB free disinfection for the food & beverage industry. Designed to clean and kill all bacteria on hard surfaces. ideally suited to clean food preparation areas before and after use. Alcohol, Quat & PHMB free disinfection for the food and beverage industry. Designed to clean and kill all bacteria on hard surfaces. 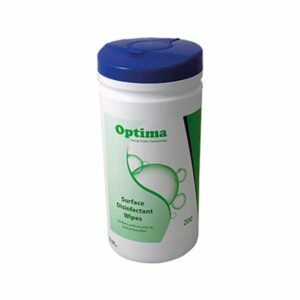 Disinfectant wipes ideally suited to clean food preparation areas before and also after use. Alcohol, Quat & PHMB free disinfection for the food and beverage industry.